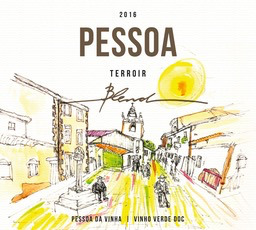 Wine Pessoa de Vinha Vinho Verde 2017 - Royal Wine Merchants - Happy to Offer! A blend of Alvarinho, Trajadura, Loureiro sourced from vineyards mainly in the renowned zones of Monção and Melgaço. Classic all-tank Vinho Verde vinification.